Happy 25th Birthday Weber Grill! 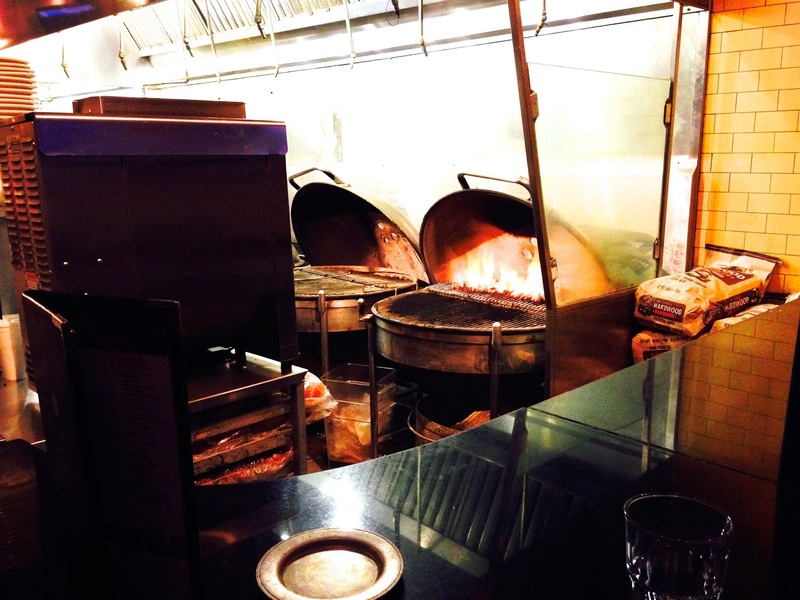 25 years ago, Weber Grill's first location opened in Wheeling, IL, offering ribs, steaks, burgers and seafood, all on its classic charcoal Weber Grills. While that location (which I grew up going to!) has since closed, there are four locations including Lombard, Schaumburg, Chicago, and Indianapolis. 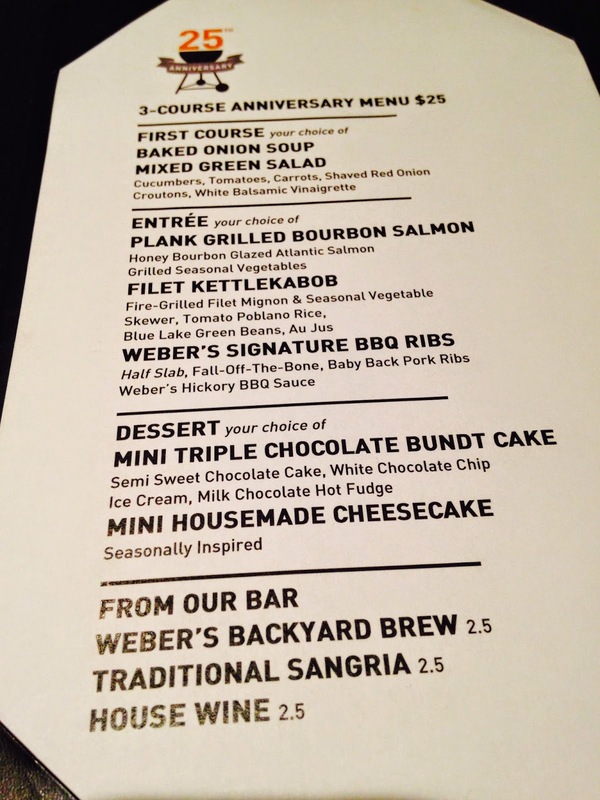 To celebrate Weber Grill's 25th anniversary, its restaurants offered a special $25 three-course anniversary menu from August 25th-August 31st. 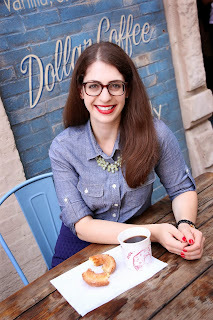 I stopped by the Chicago location with my friend Lauren to check out the menu, as well as some other menu items. 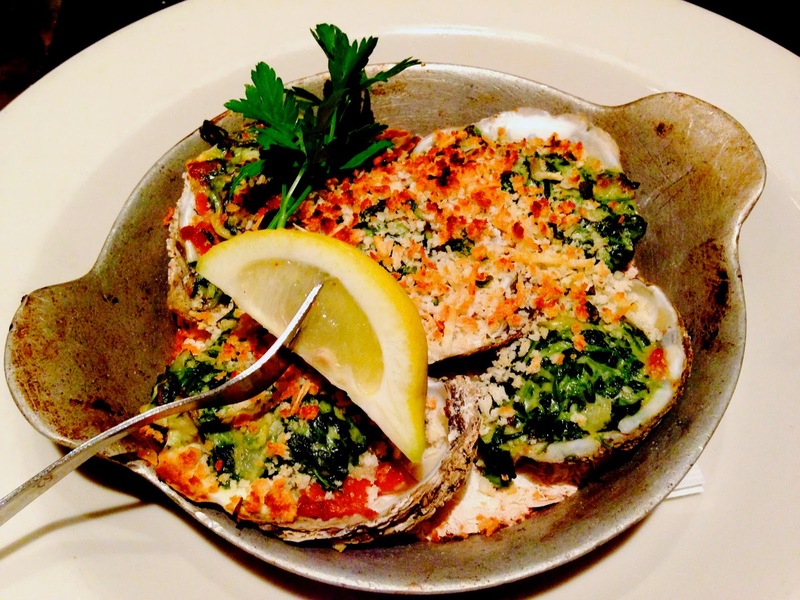 While not on the anniversary menu, we tried the Grilled Oysters Rockefeller with creamy spinach and applewood-smoked bacon. As expected, these were delicious! The anniversary menu offers dishes similar to those served at the restaurant 25 years ago, as well as a price point reflective of that time period. To say it's a steal would be an understatement! 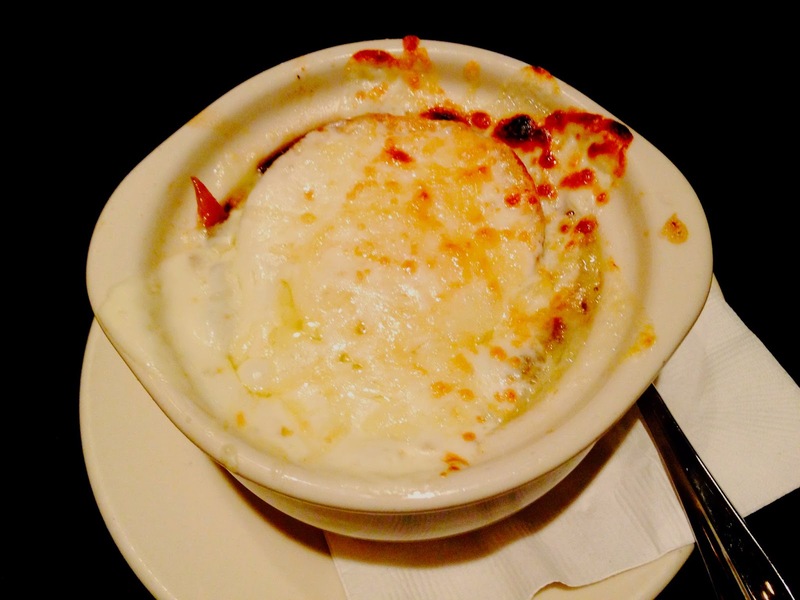 To start, we tried the baked onion soup, which is Weber Grill's version of a French Onion Soup. We enjoyed the cheese on top, but both felt it was in need of some additional seasoning. 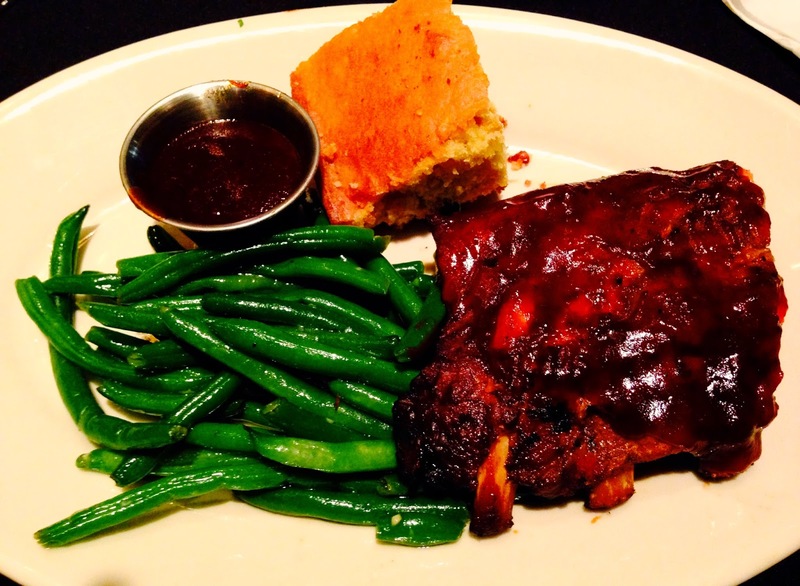 For our main courses, we each split a half slab of Weber's Signature BBQ Ribs. I kid you not, I was able to eat these with a fork--they were that tender. This was by fair the best thing we ate all night, and we loved the bbq sauce on top. 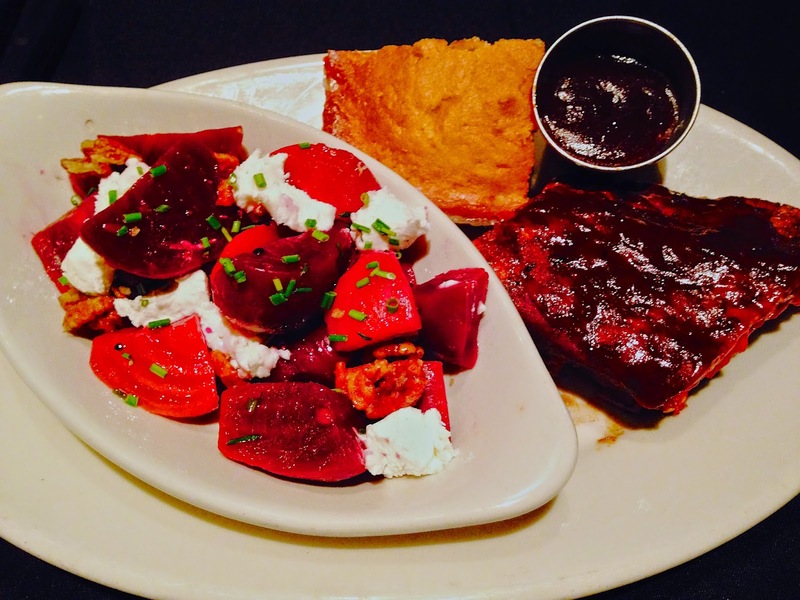 These ribs definitely give any bbq place a run for their money! Lauren tried hers with grilled seasonal beets and goat cheese, as well as cornbread on the side, while I tried the fresh green beans, and cornbread. We were also in the mood to try some of the grilled meats off the menu so we split the filet mignon which was aged 28 days and served with garlic mashed potatoes. We also were served the New York strip, also aged 28 days, and served with parmesan truffle mashed potatoes (which were awesome). The steaks had beautiful grill marks and wonderful charcoal flavor, but they were slightly overcooked. 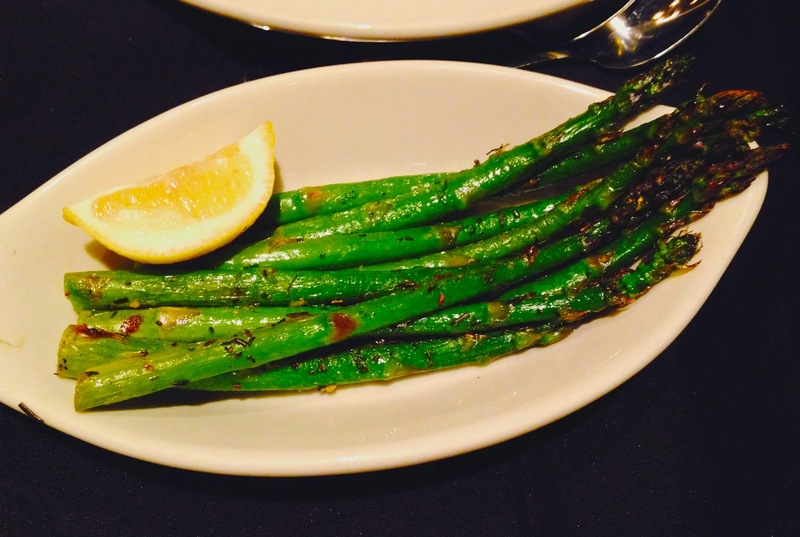 To balance out all of the meat and carbs, we tried an order of grilled asparagus which was fresh and simple. For dessert, we had a choice of triple chocolate bundt cake or cheesecake, so naturally we tried one of each. 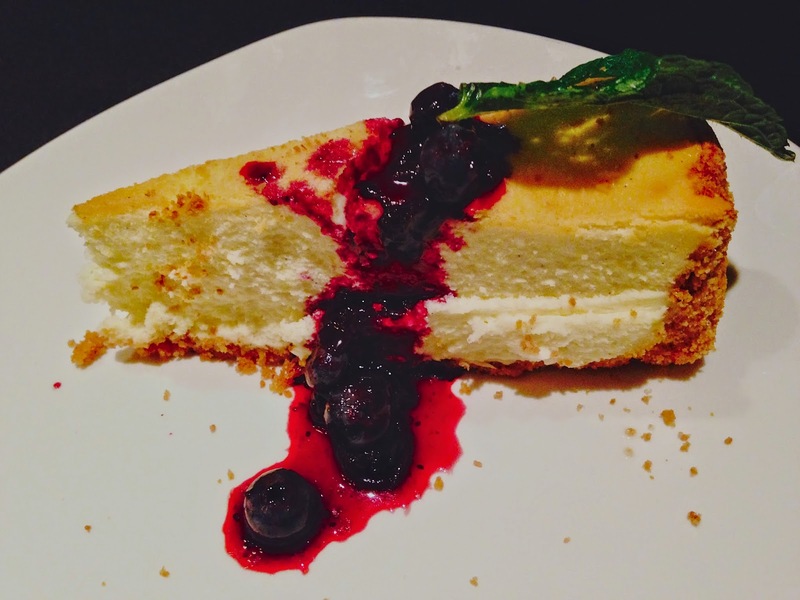 The cheesecake was topped with fresh seasonal blueberries, while the bundt cake arrived with a scoop of white chocolate chip ice cream and milk chocolate hot fudge. 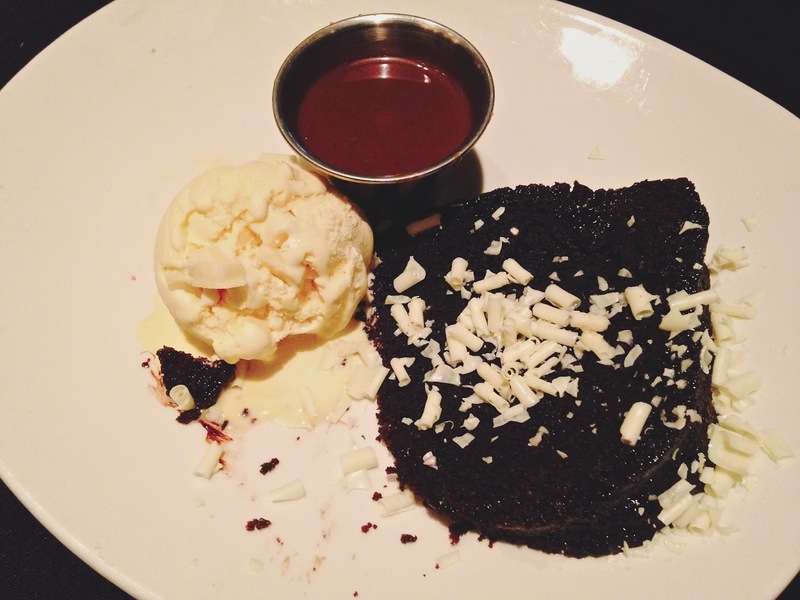 I'm a huge chocolate lover so I preferred the bundt cake, while Lauren enjoyed the cheesecake. 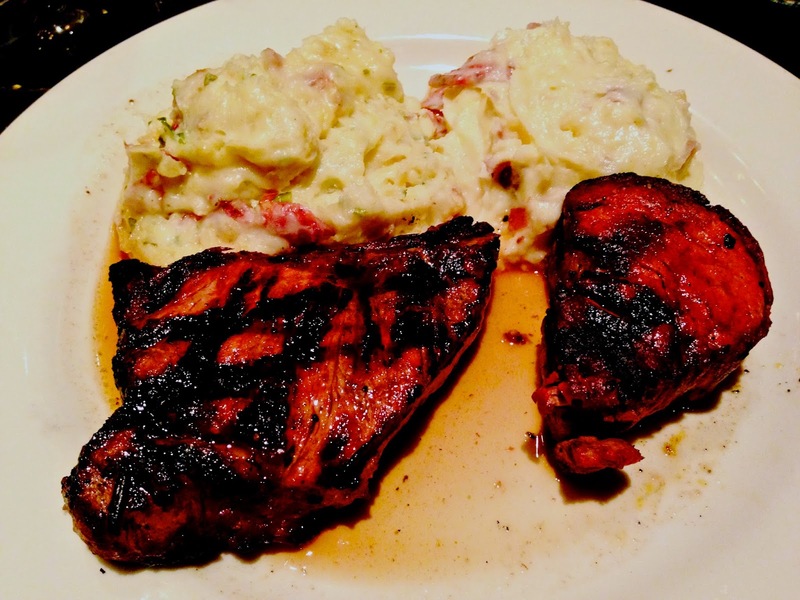 We had a fantastic, filling, and leisurely meal at Weber Grill. The anniversary menu was high quality and a huge bargain. I will definitely be back for some ribs (and maybe a slice or two of chocolate cake). Note: my meal at Weber Grill was complimentary; however, the opinions expressed herein are my own.